The PTP750W can print at a speed of up to 30mm per second it gets its job done quickly. And to make things even easier for you, it can connect directly to your own PC or Mac via wireless or USB.This machine offers a wide range of design templates, plus you can create your own designs using existing fonts, images, graphics and frames. It also features barcode printing.Labels for the PTP750W are available in different colours and up to 24mm in width. it is got all your most important office labelling needs covered. 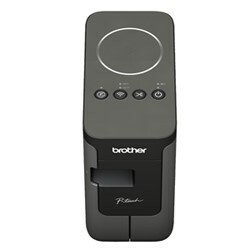 See the manufacturers web site Brother P-Touch PTP750W for more information.